Which Chevy SUV is Right for You? If you’re shopping for a versatile SUV that comfortably fits your growing family and offers the best in features, safety, and performance, you’ll want to explore the lineup of Chevrolet crossover SUVs. But which Chevy SUV is right for you? 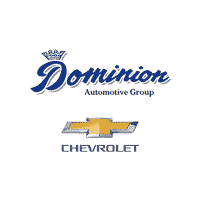 Whether you’re looking for three rows of seating or a compact that’s perfect for driving through Saint Joseph, Dominion Chevrolet helps you narrow your search. Are you ready to get behind the wheel of your next SUV? If so, visit Dominion Chevrolet near Michigan City and experience Chevy’s impressive lineup of SUVs in person! Contact us today with questions about our inventory, state-of-the-art features like HomeLink®, or to schedule a test drive. We can’t wait to help your family find the SUV that fits your needs the best, so you can enjoy all of your exciting adventures, like camping, road trips, and family vacations! 0 comment(s) so far on Which Chevy SUV is Right for You?